Blocker History: Simmons 994 Blocker, Warrior Messiah Blocker, Smith 6000 Retro Blocker, Reebok Larceny Pro, Simmons 997, Vaughn 7600, Bauer Reactor 6000 Bryzgalov Pro Return, CCM Eflex 3, Bauer Od1n 1X Vapor. This glove was part of a demo set I got from a local store. It is a bone stock retail glove. Initial Thoughts: I always wanted to try out and use a CCM/Koho/Reebok Lefevre style of blocker. Since they were relatively unchanged since the RBK Premier 2 days and used by so many people I figured they must have done something right. I at one point had a full right set of RBK Premier 2 gloves for an experiment I did many years ago, but since I never played good hockey with those gloves I could never really tell how they played (not to mention I was wearing them on the incorrect hands). 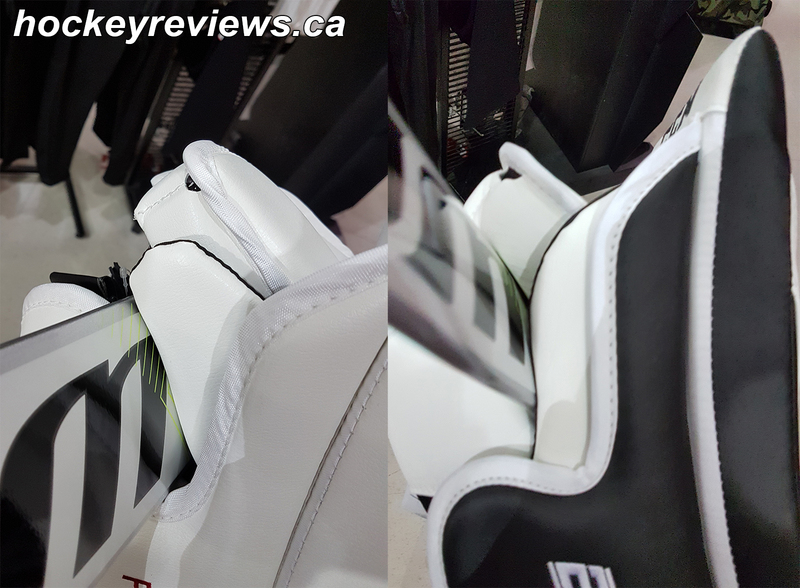 Quickly inspecting this glove and you can’t find many differences between it and the CCM Premier line besides the Speed Skin material, which isn’t really going to affect performance for this piece of equipment. 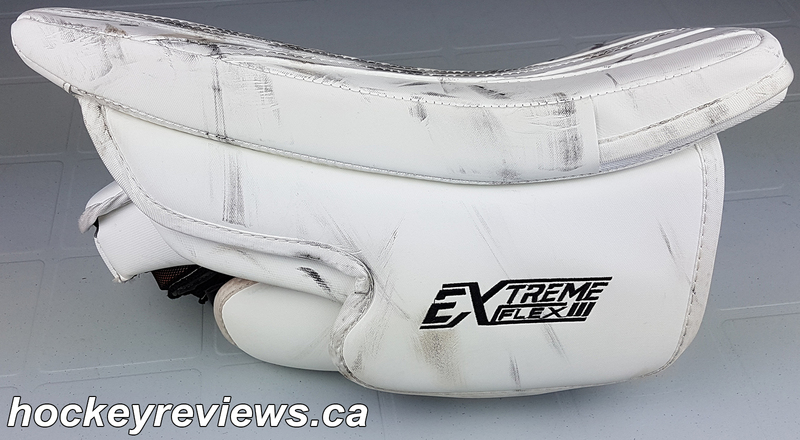 Nothing really stands out in the CCM Eflex 3 blocker. Comfort: To me CCM/Reebok/Koho blockers always felt a bit like a marshmallow on your hand, which is a great thing in terms of comfort. The thumb pillows are thick and the same can be said for the backhand padding which creates a soft overall feel inside the glove. 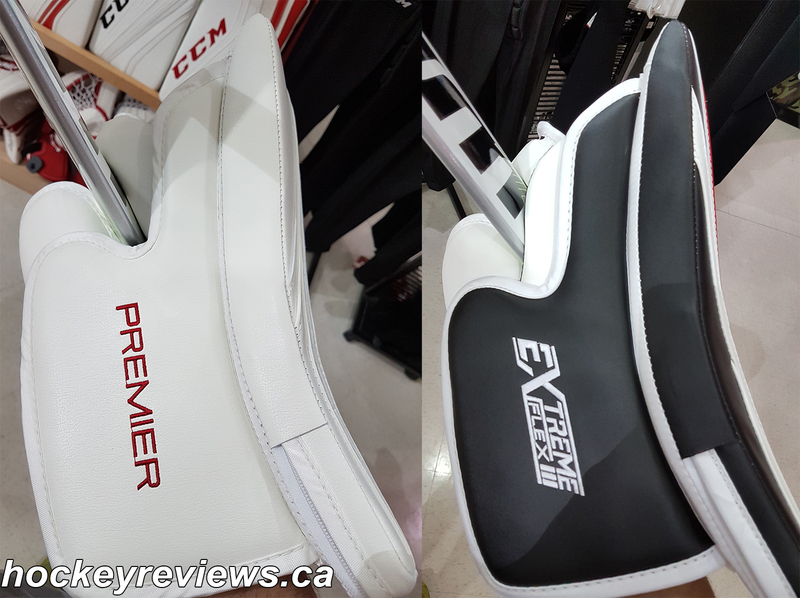 Protection: The marshmallow feel and the wide usage at pro levels had me pretty confident in the protection levels of the CCM Eflex 3 blocker. The thumb board is thick and well padded as well as the sideboard. I felt no pain when taking pucks to the inside of the hand along this area. 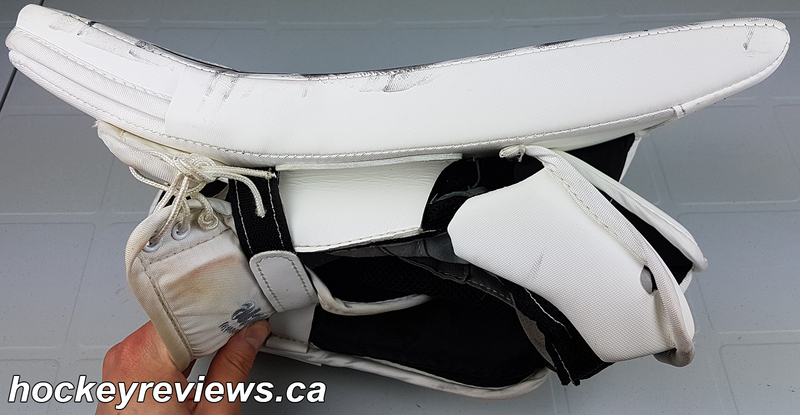 The blocker board is thick and protective and works well with the thick band hand padding. 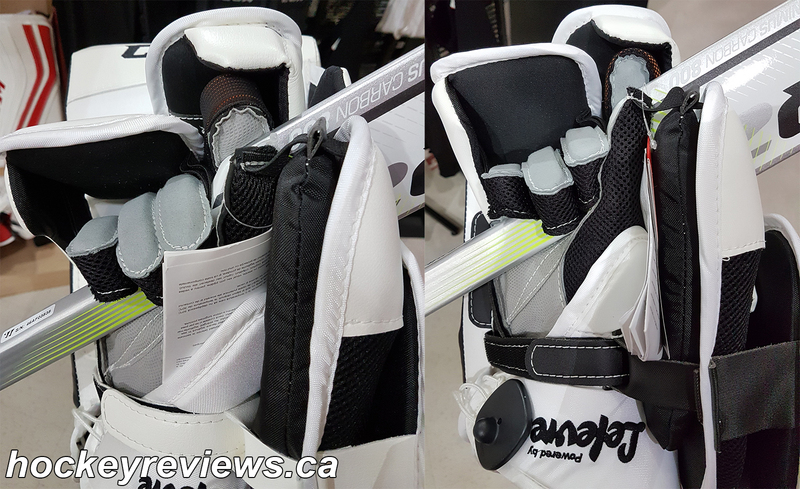 The index finger protection on the side of the blocker protection is very solid and might be the best design on the market. 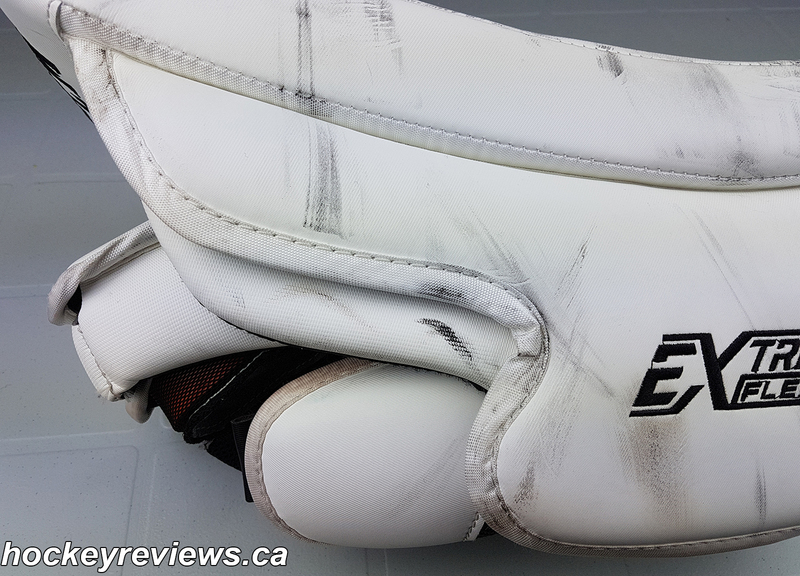 The top finger protection consists of 2 separate pieces that are a hard foam with thick softer foams underneath, these pieces are solid unlike the Simmons 997 I reviewed in the past that could be bent in half. 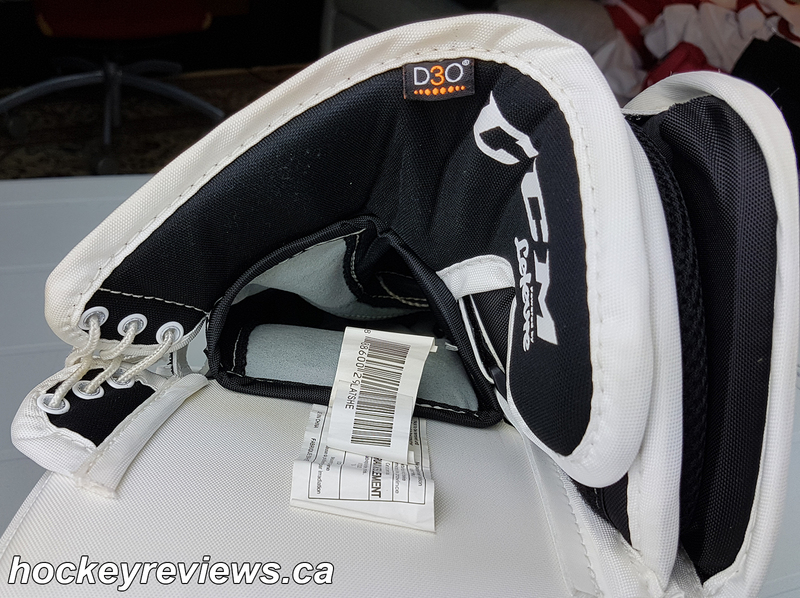 Along with the padded top of the fingers, the protection for the top of the fingers is fantastic in case a puck slips under the blocker board. The outside finger protection is a very large piece of hard foam and covers most of the outside palm when in the closed position. 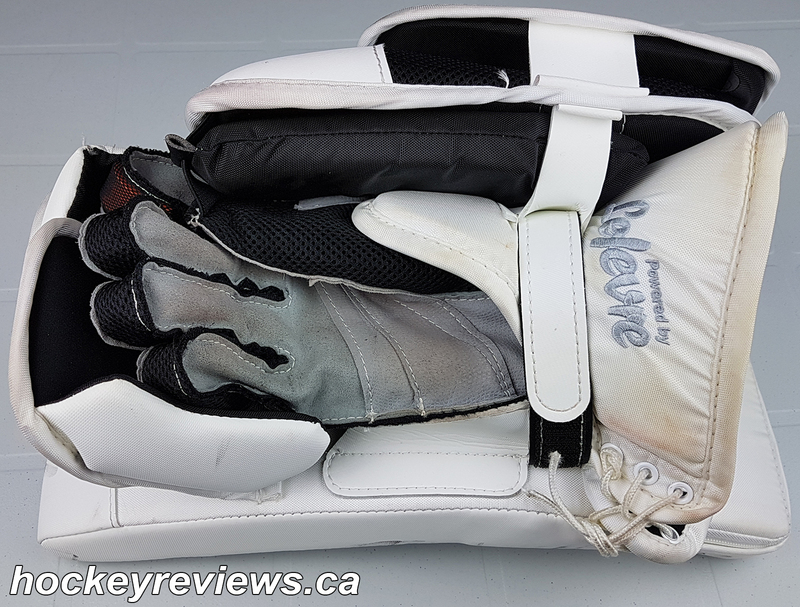 The fingertip protection is where CCM and Lefevre blocks are lagging behind the competition. 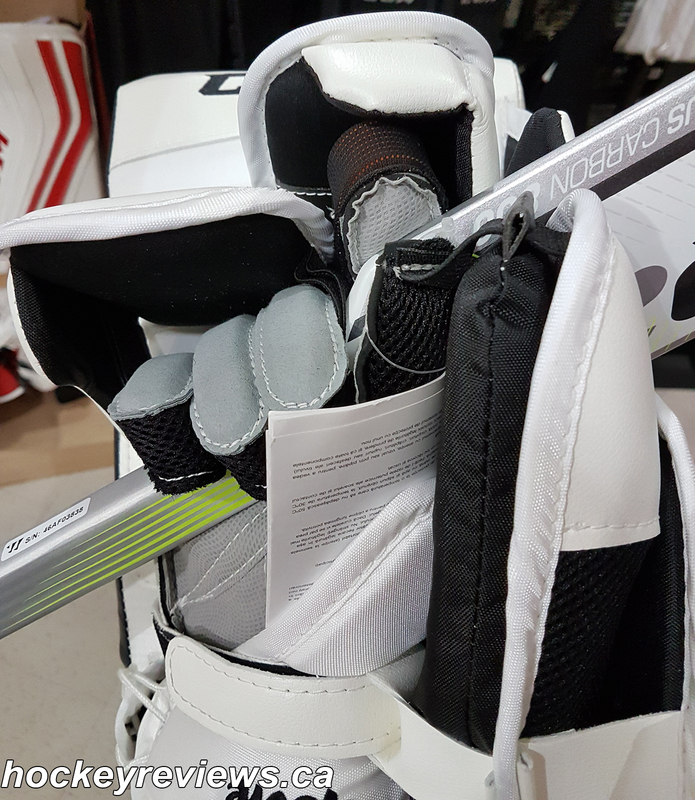 On the index finger CCM has added a layer of D3O foam for added impact protection from shots or sticks. I believe adding D3O foam here is a smart addition but I don’t like how it wraps all the way around the finger tip because of how the smart foam doesn’t like to follow the natural movement of your index finger when you close your hand. I have my index finger out on the paddle of the stick when I play, but I still noticed the D3O when playing and felt I couldn’t move my index finger as much as I’d like too. Personally adding it just along the outside edge of the finger would’ve added a bit extra protection from pucks incase they ramp up the stick and hit or sneak under the finger flap on the side board. 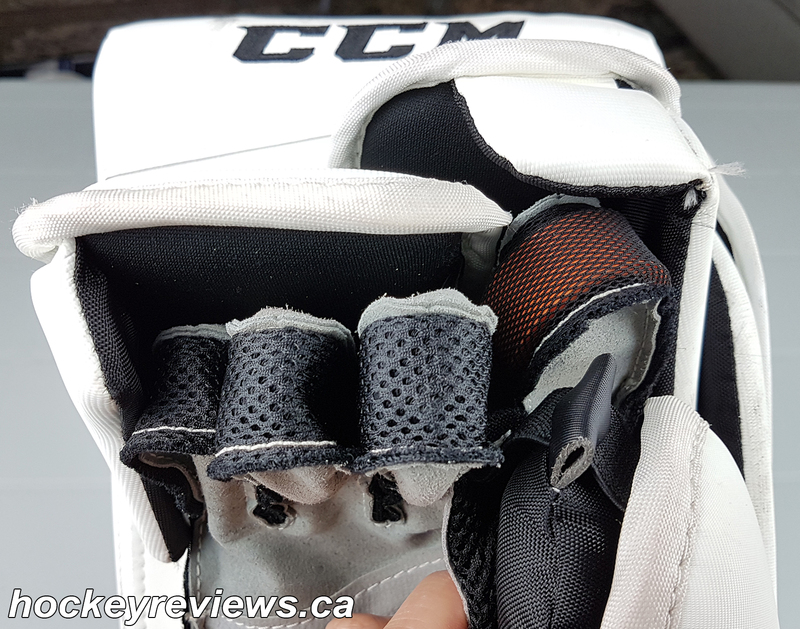 CCM does put a piece of hard foam off the end of the finger top protection for covering your fingertips, but it just covers the index finger leaving the rest of your fingers exposed. I think even having the D3O segmented in this area rather than being one solid piece would’ve lead to a better design. My gripe about the protection on this glove has to do with the lack of fingertip protection for the remaining fingers. This is a feature the majority of glove manufacturers now have, and it is a much easier piece to remove if you really don’t like it compared to adding it yourself. My other issue is that the elastic straps that connect the fingers to the top of finger protection is a bit too long and loose so the protective piece doesn’t follow your fingers closely enough. 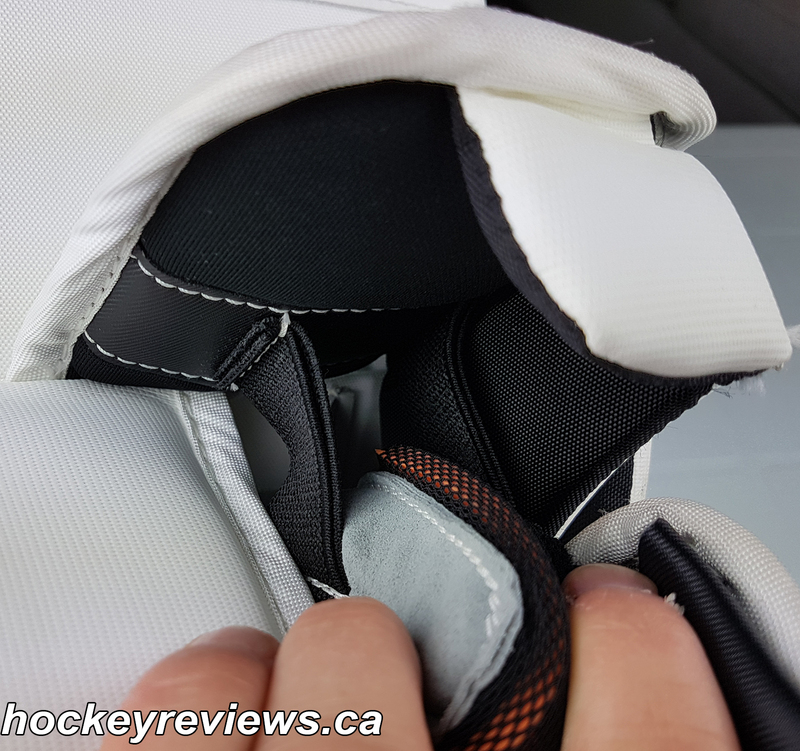 If it was closer than the need for fingertip protection diminishes, but the way it is currently implemented it leaves your fingertips exposed for the sneaky pucks or the quick jabs from sticks on a scramble. Performance: Many people say blockers are blockers and there isn’t much difference between different brands or models, but in my experience I have found I prefer certain models and features or at the very least how they are implemented. 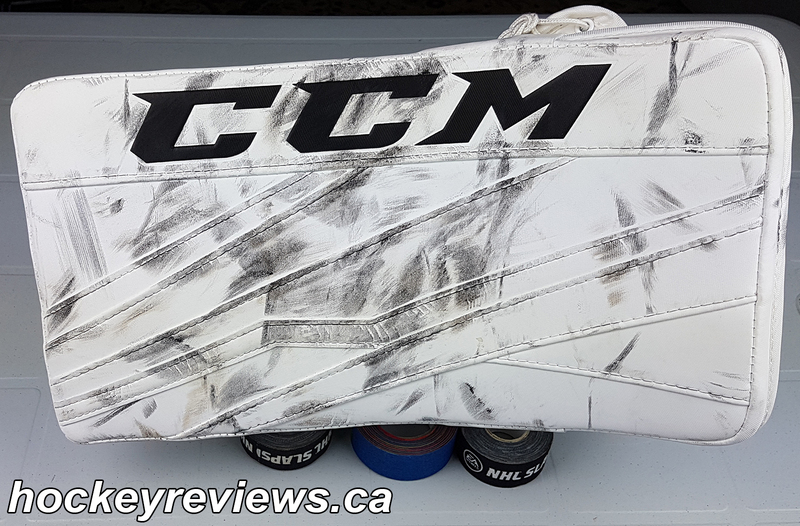 Out of the box this CCM Eflex 3 blocker is ready for game use, the excellent puck ramping protection on the side of the glove is protective but never hinders movements or needs to be broken in. 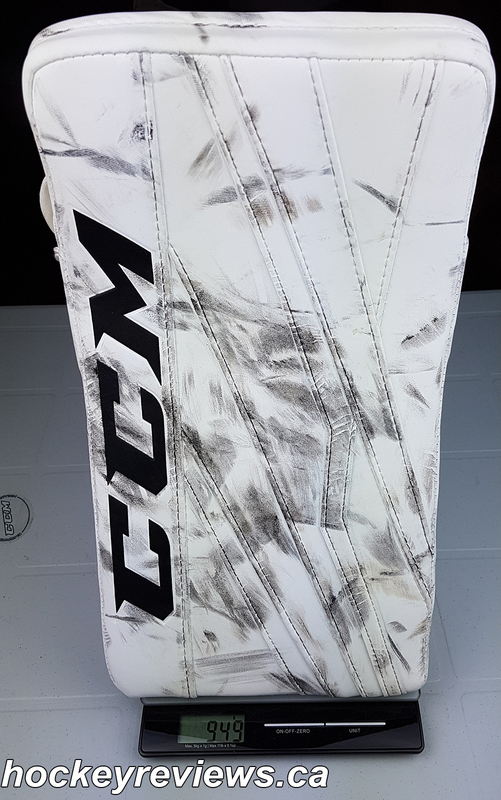 That specific feature on both of my Bauer Vapor 1X gloves required the blocker to really be worked in first before I had full stick dexterity.